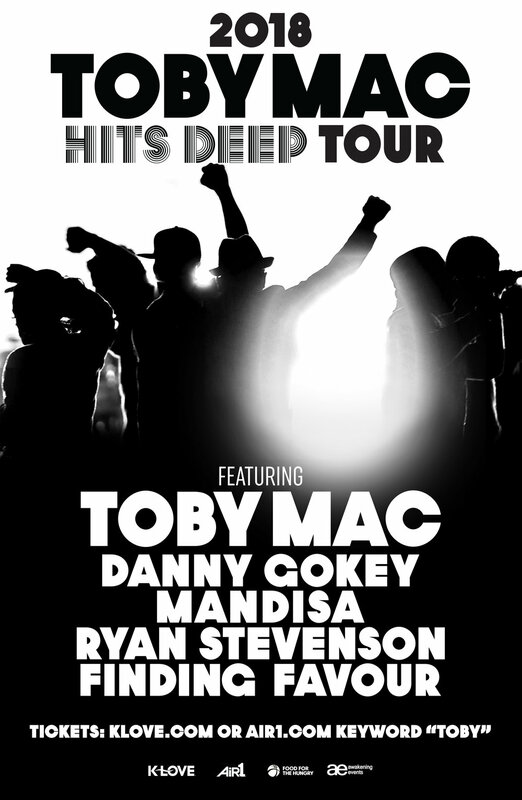 Seven-time GRAMMY winner TobyMac will once again bring his dynamic “HITS DEEP Tour” to 29 markets next year, alongside a talent-packed line up including Danny Gokey, Mandisa, Ryan Stevenson and Finding Favour. The 2018 "HITS DEEP Tour" is a partnership with K-LOVE, Air1, Awakening Events and Food for the Hungry. Kicking off at Oklahoma City’s Chesapeake Energy Arena in late January, the “HITS DEEP Tour” will wrap in mid-March after stops in San Diego, Denver, Seattle, Minneapolis, San Antonio, Birmingham and more.